I know, I know…I’m crazy town for doing two makeovers at once, but what is a new year for? Challenge accepted! In addition to working on my chinoiserie office, I’m also taking on the $100 Room Makeover Challenge hosted by Lemons, Lavender & Laundry. 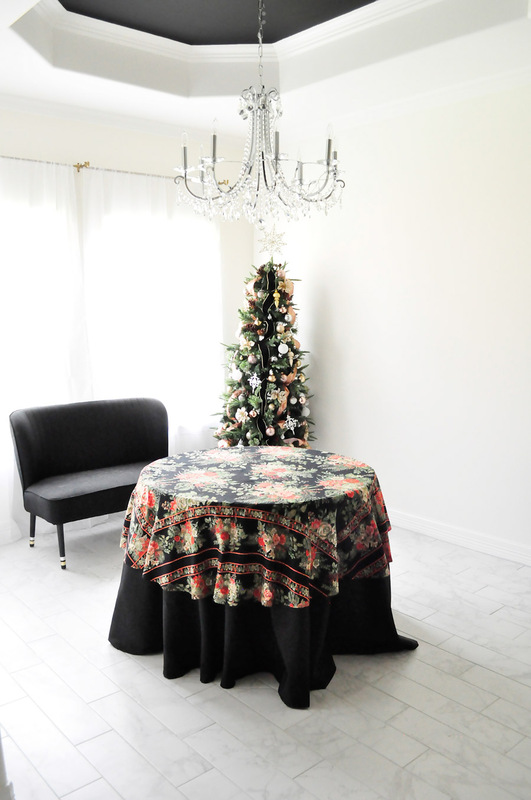 I participated in this challenge last year when we were still in our apartment, and I did our dining space. People loved the outcome, and to this day it is still one of my fave makeovers I’ve ever done. This year, I’ve decided to work on our dining space again because it has been severely neglected since we moved in back in September 2017. And after Christmas, it looked really sad. 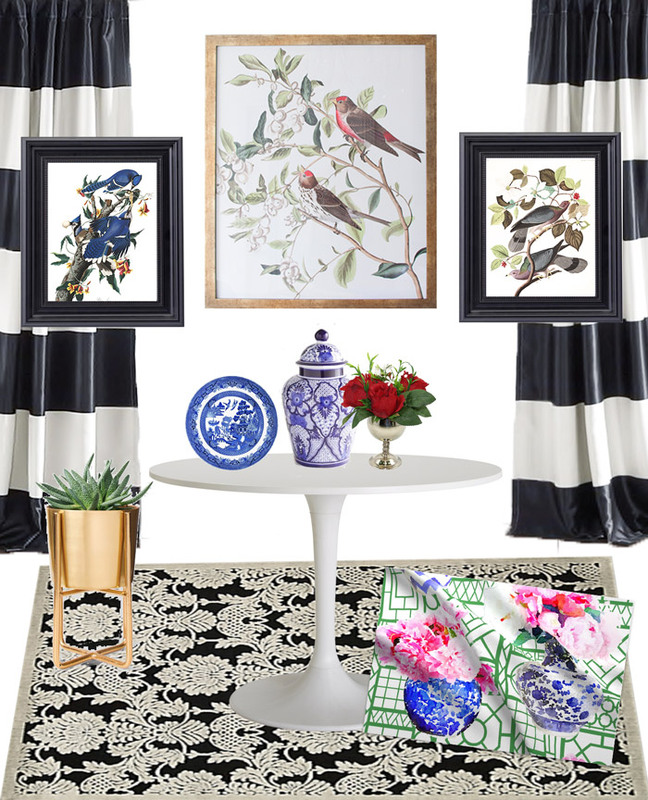 My darling husband bought me a gorgeous bird botanical art print from HomeGoods for Christmas, so I’m using that as the inspiration for my $100 room makeover. The gold frame is so beautiful, and I really wanted a botanical vibe in this space. Here’s the view from the living room as of yesterday. One ghost chair is in my office since I still haven’t chosen a proper office chair. 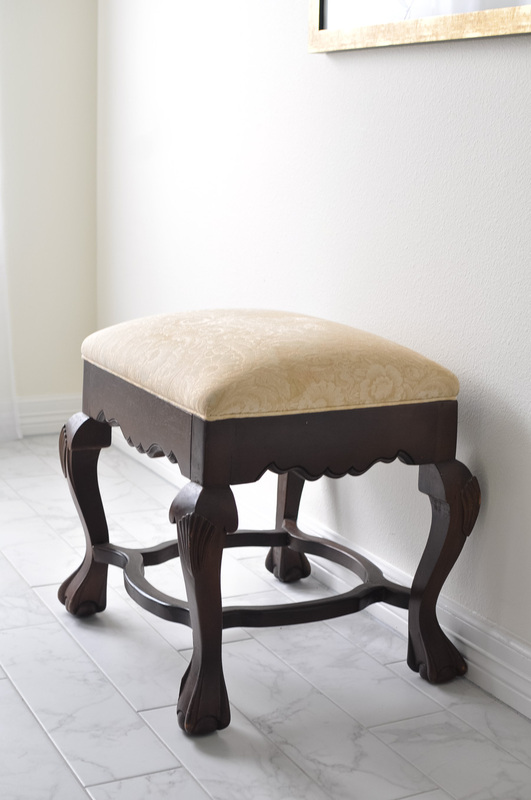 That stool is a thrift store find that I want to upcycle by reupholstering the seat and painting the legs. 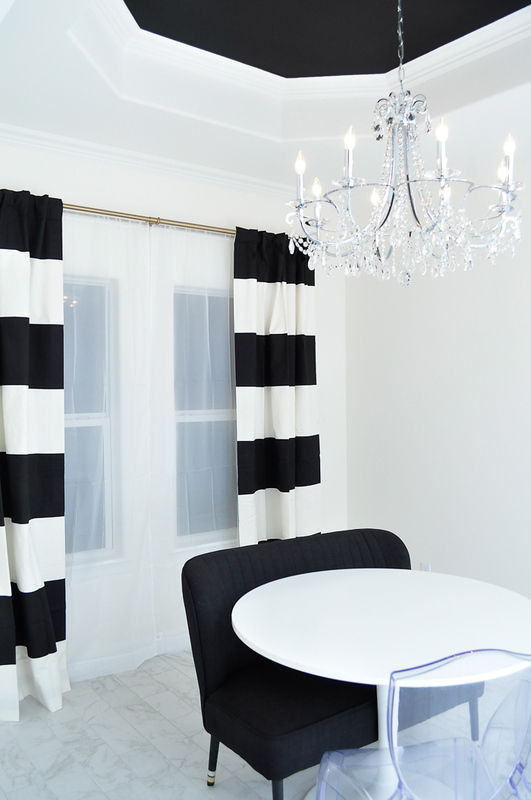 And you’ll likely notice I only have sheers in the space right now rather than the black and white striped curtains I wrote about awhile ago…well… Pee Wee peed on one, we tried to get it cleaned, the panel shrunk, so here we are. I have a lot of bare walls and floor to work with, plus I have a ton of decor already, so I plan to “shop my house” and make some thrifty purchases to add some style and warmth to the space. This makeover likely won’t be super dramatic, but I do hope to add some pizazz to the space, and if nothing else, it won’t look so bare. I am in love with that rug! I think your space is going to look amazing! Love your ideas and I am excited to see how it turns out! I can't wait to see how this turns out! Your plans are so bold and fun – just the way I like 'em! Love your bold, graphic style! Can't wait to see how this goes! Great plan. I adore that table and love the curtains too! What a beautiful piece of art to use as inspiration! I can't wait to see what you do with the space. I can't wait to see how your space comes together!! 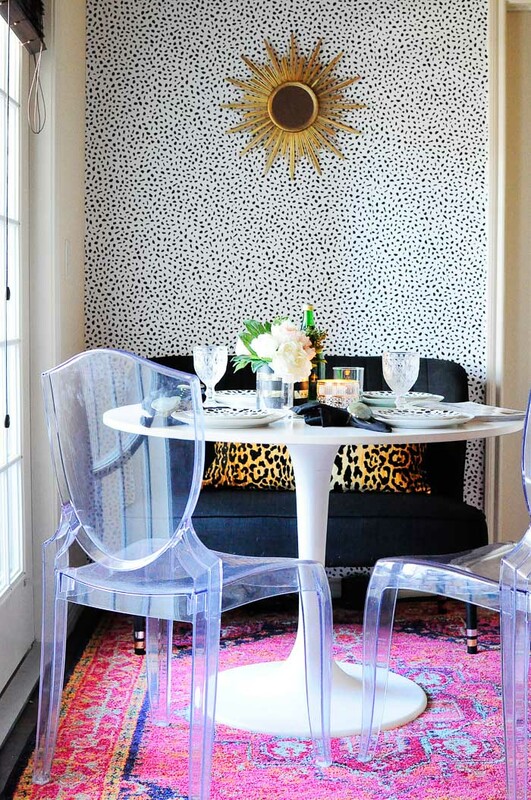 I still remember your other dining room makeover! I love your table, and I can't wait to see what you do with this space. That print is a great starting point! I can't wait to see how this space turns out. Your theme sounds like it'll be so pretty! 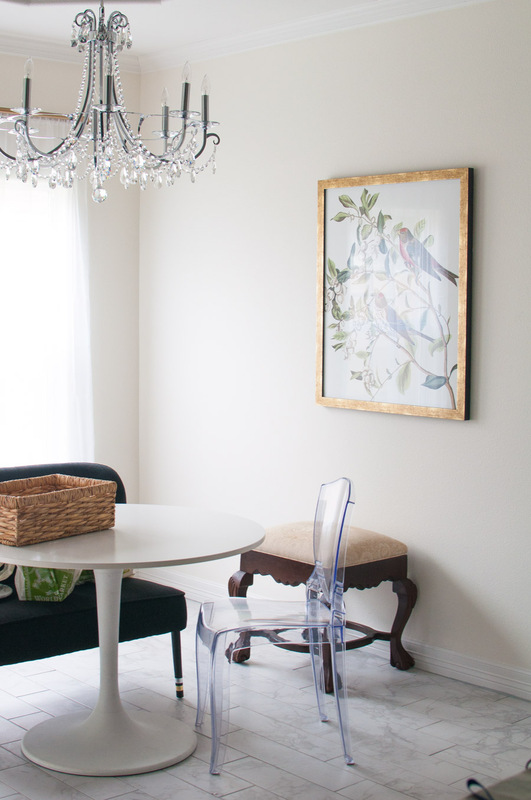 That first dining room makeover was truly amazing! I cannot wait to see what you do with this one 🙂 FYI: I also shrunk curtains in our dining room after washing them (only it wasn't pee, it was baby food prunes that my little one flung onto the curtains). Excited to have you joining the challenge again! Hi Monica,I remember you beautiful dining room from last. 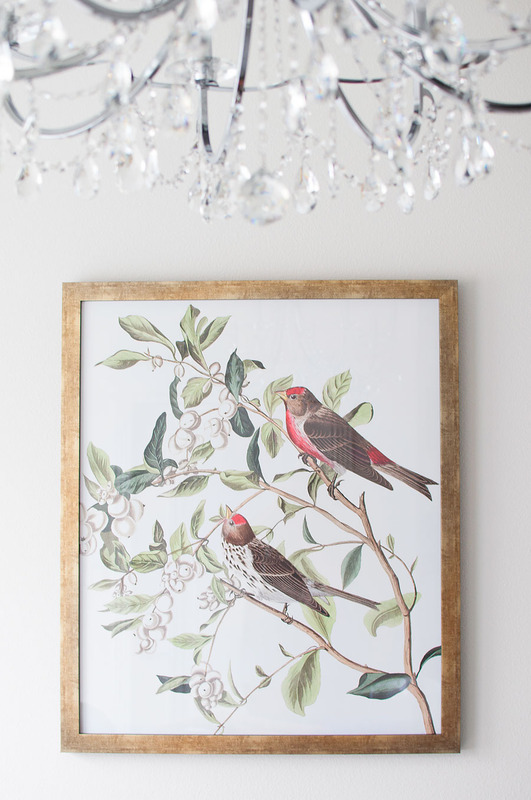 Botanical prints are a favorite of mine and those birds are gorgeous. Can't wait to see it complete! LOVE these plans! So fun! I can't wait to see how it turns out!